Archive from category "Pipeline Demag Info"
Depending on who you talk to about the issues with magnetized pipeline, they all seem to use different terms. Degauss, demagnetize, demag are a few that you hear thrown around. Do they mean the same thing? For most purposes – YES – they all mean the same thing. “Degauss” means: to remove unwanted magnetism from an object, or to neutralize the magnetic field of an object. It is named after the gauss, a unit of measurement for magnetism, which was named after the mathematician Carl Friedrich Gauss. “Demagnetize” means: to remove magnetic properties from an object and is sometimes shortened to the term “demag”. 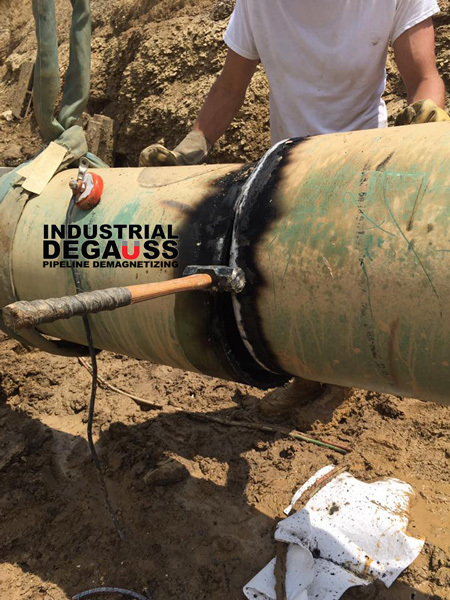 No matter what it is called, Industrial Degauss has the knowledge, the equipment and the people to degauss, demagnetize or demag your pipeline!